Judging by the comments on our last post, concerns persist on whether celery is a safe enough substitute for cigarettes. Normally, we would just refer you to our website but it seems we have been remiss in covering this lesser known alternative. But just like e-cigarettes a few years ago, using celery is becoming common enough, and certainly prominent enough with Obama’s seal of approval, so as a precursor to developing a good fact sheet about this, it would be good to cover a couple of points. First of all, there is no doubt that using celery is much safer than smoking with the exception of those folks with severe celery allergies. This allergy is less common in North America than in Europe where food labels need to indicate whether they contain any celery but for those who do have it, it can be life threatening. There has been talk of promoting tomatoes instead of celery for vegetable minded switchers. Not only are tomato allergies almost unknown, since the plant itself is related to the tobacco plant, there is some nicotine which though low level might twig just enough of a response to take the edge of any withdrawal symptoms. And of course, tomato consumption has been linked to lower incidence of cancer. The one worry though is that daily consumption of tomatoes does result in quite the increase in the risk of dementia stemming from being anxious about whether it is really a fruit or a vegetable. Readers have raised the risk of tinnitus which appears to be too rare to worry about, and possible GI tract aggravation but tomatoes would allay either of these concerns. But the bottom line is that whether you prefer celery or tomatoes they are both preferable to smoking as their consumption is no more risky than using e-cigarettes or smokeless tobacco. One interesting historical note on this. Using celery as an alternative was first proposed in the 70s but became a casualty of a vociferous faction in the burgeoning women’s liberation movement of the time. These activists were particularly anti-smoking due to seeing cigarettes as yet another phallic tools symbolic of male oppression. Women who smoked were considered (by this group) as undermining female expression and female avenues of power and buying into the patriarchy. This did not last very long. An even more vocal group, known as the Virginia Slims, countered that smoking was not capitulation but an appropriation of male hegemony. But by that time, celery use as a smoking substitute was so stigmatized that it virtually disappeared and only resurfaced in the last few years. It has come to our attention that you are again irreponsibly promoting celery. True, for use among consenting nonviolent sober adults its risks are minimal. However, the dangers of having this so-called vegetable in a home where children are present cannot be discounted. You compare the risks of celery to smokeless tobacco. If you leave two children in a room with a tin of snuff about the worst that could happen would be that they would sneeze themselves senseless or perhaps upchuck if it was orally ingested. But now think about leaving those same two chilren in a room with blades of celery! Either by running with them and suffering self-inflicted injuries, or engaging in either playful or angry swordplay, these innocents can poke eyes out which then roll around on the floor inflicting further injuries as victims step on them, slip, and suffer broken necks and even instant death. If you continue with these irresponsible promotions, you WILL be held fully legally accountable, not just for civil suits, but for criminally negiligent third-person mayhem and even perhaps manslaughter. This is you last official Notice To Cease And Desist. They’re even more DANGEROUS than celery: they’re POINTED!!! I suppose you’re one of those razor blade shills who thinks it’s just FINE for kids to play with dangerous things, eh? Think of the CHILDREN man! The CHILLLLLLLDRENNNNNN!!!! If a food company claimed that celery can be used to quit smoking or to reduce cigarette consumption, the FDA would send them a letter stating that their claim violates the FDCA and makes their celery unapproved “drug devices”. The FDA’s letter would also inform the company that they must eliminate their unapproved drug device claims within several weeks, or face prosecutorial action by the FDA, including possible removal of their celery from all grocery stores. Bill, but if a particular company (e.g. the grocer at the corner) made such a claim, would that result in *all* celery being yanked off the shelves as “drug devices” ? Now you’ve done it! How will I be able to buy celery now? 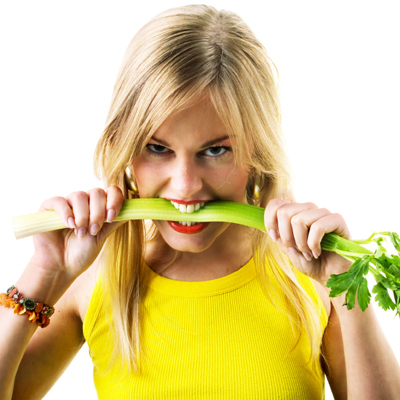 The FDA is sure to ban celery from all grocery stores due to the fact that YOU claimed it is a drug delivery device used to wean people off cigarettes! Now they will have to take action to protect the pharmaceutical companies monopoly on NRT products!!!! The pharmaceutical companies pay them BIG money to protect THEIR interests. Actually Big Pharma is now developing a celery pill with reduced “celery” to remove all those more dangerous aspects of the stick (the crunch, the salt) and then see if they can get the celery farmers to switch to a more useful crop.